Here at The Dating Divas, we encourage a conscious and proactive approach to investing in your marriage. We want to help make lasting marriages, which in return will create everlasting families. We also understand that life is crazy, and it can be easy to forget our well-intended plans and let our marriage slip down our list of priorities. 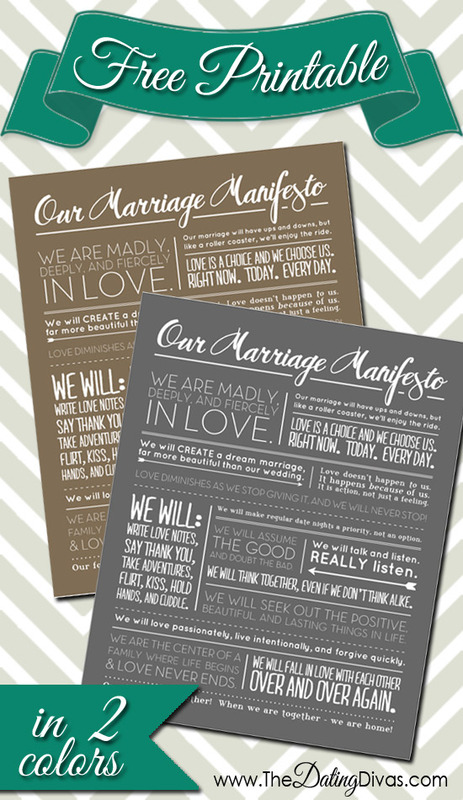 SO, we decided to make a “Marriage Manifesto” that we could hang in our bedrooms as a constant reminder of what we want our marriage to be! Sort of like our own marriage mission statement. And, of course, we needed it to be pretty too! 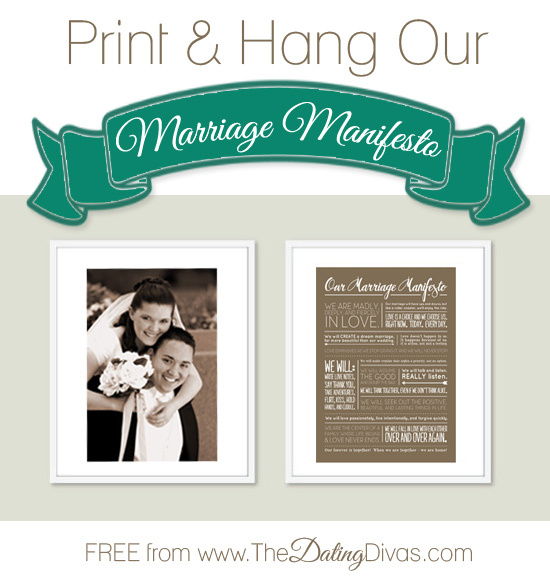 How’d you like to SCORE our FREE printable Marriage Manifesto? Yep, FREE!!! 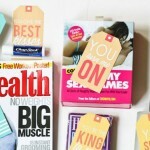 We are giving it away to all of YOU lucky ladies! You even have two different colors to choose from. You TOTALLY want to get your hands on this RIGHT NOW, right? I know! Who wouldn’t?! 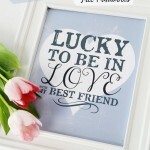 Just print, frame, and hang for fabulously romantic bedroom decor! OH- and if you love this print, you'll want to check out our other set of DARLING Wall Art we had commissioned. The grey one even matches! You could start your own "love collage." THANK YOU! Love this! Did everything required and printing ours out! My “Dating Divas” Pinterest Board is hidden so my Lovie doesn’t see what I have in the works 😉 As he is a pinner also! THANK YOU again! You are SO welcome!!! 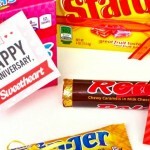 And I love your idea of a secret pinterest board just for keeping ideas for the hubby! Genius! I entered the password and then the screen refreshed. No download link. Did I miss something or is the link emailed? 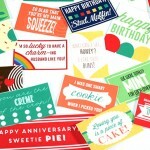 I am looking forward to printing this for my husband and our 3rd anniversary! Please help. Thanks! Hi I have followed the steps but don’t seem to get the form or code , is it still available? 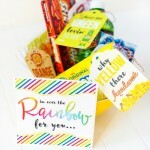 Hey there, I set in these comments that I needed HELP! Please let me know what to do to get the printable, as I’ve already followed the steps! I love your website. So many awesome ideas. Thanks!